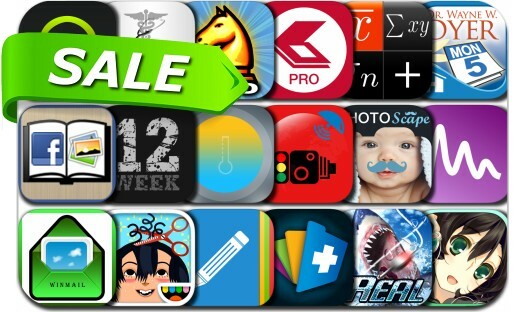 No need to pay full price to get awesome apps, just check out these 18 iPhone and iPad apps that are on sale right now. This app deal alert includes Statistics Calculator++, Chess Pro, FineScanner Pro, My Wellness Journal, Toca Hair Salon 2, Burn your fat with me!, Kris Gethin's 12 Week Trainer, Notes Note-Ify, Binaural Beats Master Collection, Audio Analyzer, Winmail File Viewer and many others. "Burn your fat with me!!"